Republicans used the Federal Reserve's announcement of a third round of stimulus to blast President Obama, saying the lackluster economic recovery he's overseen is behind the central bank's "artificial" and "ineffective" move. Most Republicans, including the campaign of presidential candidate Mitt Romney, used the Fed's move to tout their main campaign message going into the Nov. 6 elections, that Obama's economic stewardship has failed. "The Federal Reserve's announcement of a third round of quantitative easing is further confirmation that President Obama's policies have not worked," said Lanhee Chen, policy director for the Romney campaign, in a statement Thursday. "We should be creating wealth, not printing dollars." Republicans, including Romney, have criticized quantitative easing, the Fed's prime tool for juicing the economy by buying debt to increase the flow of money in the financial system. They say Fed is risking a run-up in inflation with the moves, which they dismiss as unhelpful. Several Republicans, including Sen. Bob Corker of Tennessee, went so far as to blast the central bank's actions as "beginning to do serious damage to the Fed as an institution." "Open-ended purchases of mortgage-backed securities will politicize the Fed and add substantially to its balance sheet risks, but it will not help our economy's long-term growth prospects," Corker said in a statement. Rep. Kevin Brady, a Texas Republican, accused the Fed of adding more uncertainty to the market. "It's time for the Fed to stop," said Brady, the top Republican on the Joint Economic Committee. "Chairman Bernanke should look President Obama and Congress in the eye and tell them the Fed has done all it can to boost the economy -- and perhaps too much." Fed Chairman Ben Bernanke defended against such criticism during a news conference Thursday, saying the central bank would continue monitoring the financial system for price stability. He added the Fed board sees no indication of unchecked inflation in the near future, but would keep an eye out. Bernanke also dismissed any suggestion that the Fed's move might be seen in a political way to help Democrats. 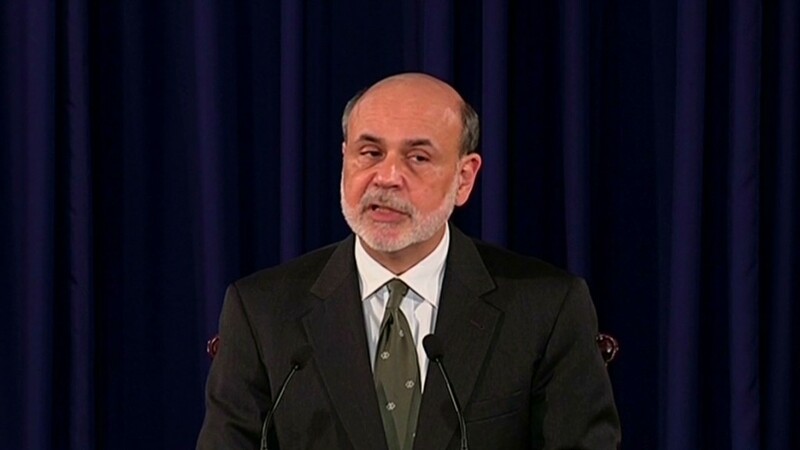 "We have tried very, very hard, and I think we've been successful, to be nonpartisan and apolitical," Bernanke said . "We make our decisions entirely based on the state of the economy." Last month, Romney said that, if elected, he would not renominate Ben Bernanke to a third term as the Federal Reserve Board chairman when Bernanke's term expires in January 2014.